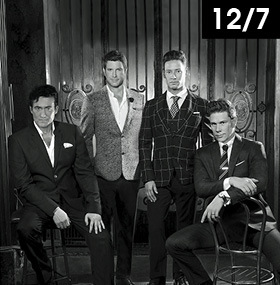 Il Divo will be back to perform their all time songs at the Auditorium stage of Starlite Festival 2019 next Friday, July 12th. 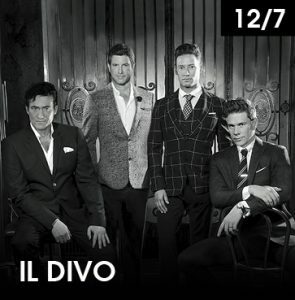 Urs Bühler, Sèbastien Izambard, Carlos Marín and David Miller, who together form Il Divo, have pioneered the genre of operatic pop or “popera” in classical crossover music, remaining one of the millennium’s greatest musical phenomena. This time, they will be singing at Starlite Festival 2019 their most romantic and popular themes in a dramatic and evocative show that the audience will remember forever. The quartet of tenors have broken records, won every classical crossover award in existence, shared mics with fellow superstars Céline Dion and Barbra Streisand, and sold over 30 million albums in 35 different countries; leaving no doubt that since their beginnings in 2003, they were more than a music hype. The four piece multi-national vocal group will make of July 12th a night to sing together and enjoy familiar songs as if it was the very first time, at Starlite Festival 2019.